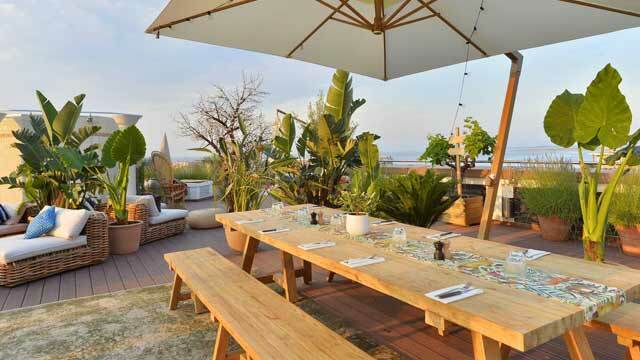 A complete guide to the 5 best rooftop bars in Nice in 2019. Find all information about each rooftop. Opening hours, dress code, pics, locations and much more. 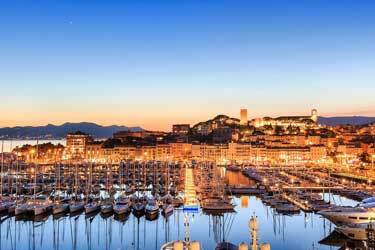 This Mediterranean hot spot is a popular place on the French Riviera. 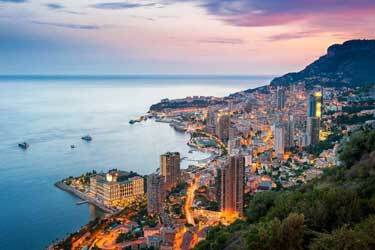 The city of Nice is both cozy, genuine and luxurious. The most famous thing here is the beach walk and that is also the location for most rooftop bars. And the views over the ocean and city are quite magical. So, which is the best rooftop bar in Nice? 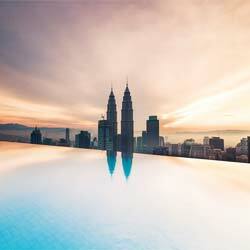 Read this complete guide, and find the Nice rooftop bar best suited for you. Or use the Nice rooftop map in the bottom right corner. 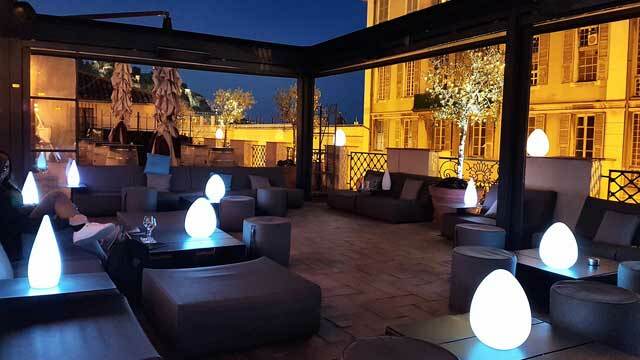 Calade Rooftop Restaurant is quite a new edition to the roof of the more classic Radisson Blu Hotel Nice. With location oceanside on Promenade des Anglais, the views over the Mediterranean Sea and the bay are truly panoramic. Open daily for lunch and dinner, the restaurant offers authentic Mediterranean cuisine, with an extra focus on seafood. During the summer season you can also visit the Pool Bar & Lounge for cocktails, wine and fresh drinks and for hotel guest there is a lovely rooftop pool. 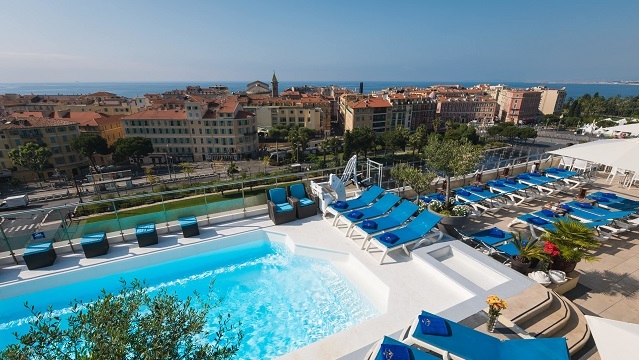 The roof terrace at the Hotel Aston La Scala offers a rooftop swimming pool, amazing 360-degree views over Nice and the Mediterranean and a rooftop bar called Moon Bar. Open for lunch, but the bar and restaurant really lives up towards the night. Enjoy tasty Mediterranean food, a wide selection of fine wines, original cocktails from the bar and live music every Thursday to Saturday. And above all, one of the most beautiful views of the city of Nice. 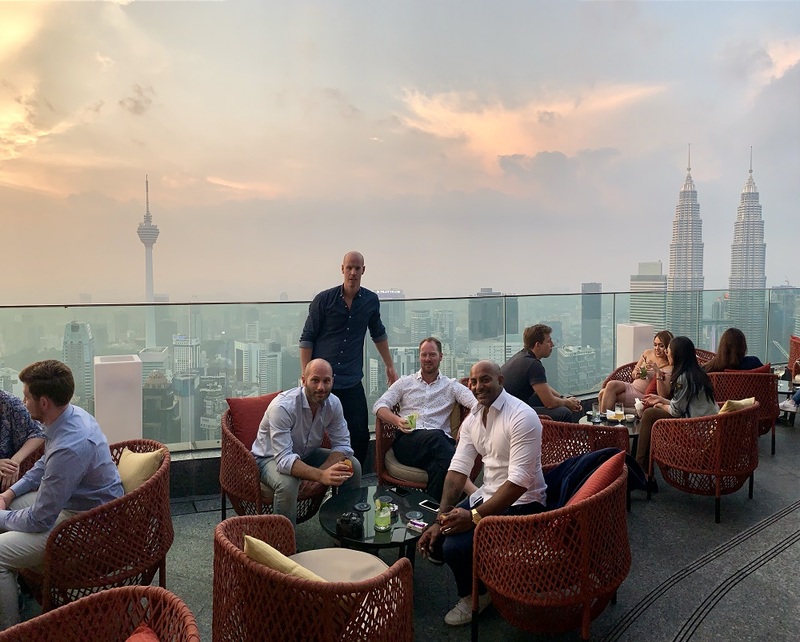 The rooftop terrace at AC Hotel Nice got a makeover and a brand new set up during 2018, when Farago on the Roof opened its al-fresco doors. While the setting is new, the magical 360° views on the terrace are still the same. Modern, natural and trendy in decor, the rooftop bar comes with both comfy lounge seating and dining tables. Focusing on Social Food, most of the dishes served are tapas-style and ther is also a dedicated "Gin Bar". A real hip and vibrant summer hot-spot. Located in the heart of old town Nice, right by the Cours Saleya, Le Hussard offers no Mediterranean views and no oceanside decor, but instead a vibrant and urban terrace, perfect for a fresh breeze and people watching on the street below. Branded as a Resto / Disco Bar, it has both an indoor lounge and restaurant and a chill 3rd floor rooftop terrace with a lush setting. Open nightly, here you can enjoy tapas, pizza and sharing platters along with a full-service bar, including great cocktails. 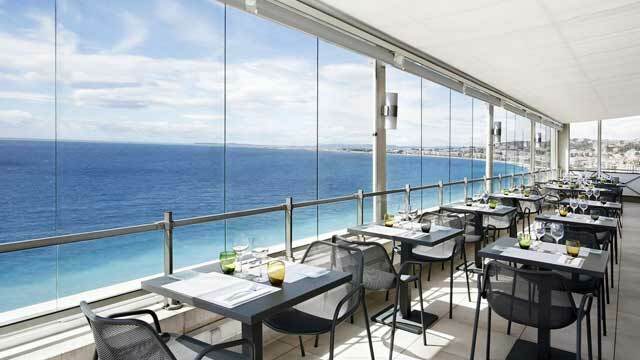 Situated on the 10th floor of Le Méridien Nice you find this amazing rooftop bar and restaurant called La Terrasse, one of the highest roof terraces on the Promenade des Anglais. 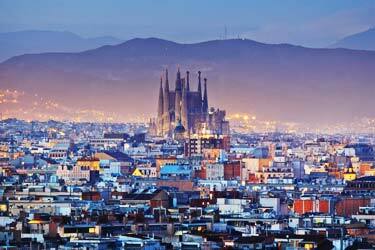 Here you get a magical panoramic view of the Mediterranean Sea and the city's rooftops. Cosy, calm and relaxed in ambience, the terrace is set up as part stylish dining area and part more open-air and comfy lounge area. Enjoy French dishes along with some Asian bowls and Italian tastes or sparkling cocktails from the rooftop bar. 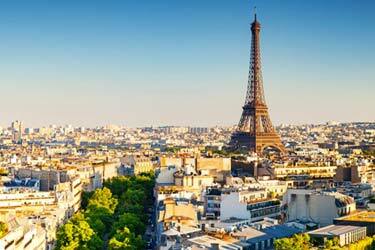 Discover the biggest collection of Nice activities, guided tours and skip-the-line tickets. Anything you want you'll find right here. Which are the best rooftops in Nice? 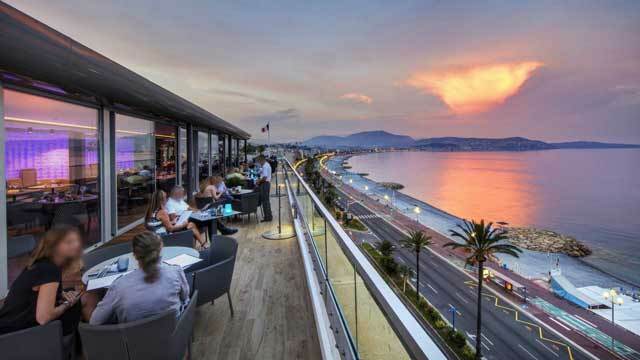 This complete guide will help you find the best rooftop bars in Nice. The climate in Nice is classic Mediterranean climate with hot summers and slightly cooler winters. But given the high number of sunshine hours the rooftop bars in Nice can stay open virtually all year round. And the Nice rooftop bars are amazing. Most of them with magical views of the sea and the old town. 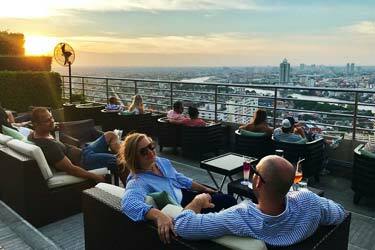 Expect luxurious roof terraces with good food and drinks. Nothing for the stingy ones, since the price tags can be quite high in some places. 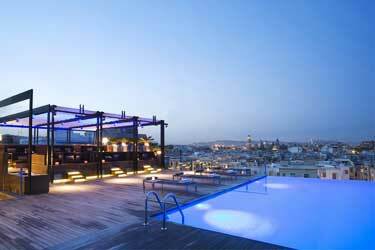 All in all, Nice offers some really nice rooftop bars. Here you can find the best Nice bars to drink with a view at here. Nice is located on the French Riviera with connectivity to the Mediterranean. The city counts as the Rivieras center given population and location. 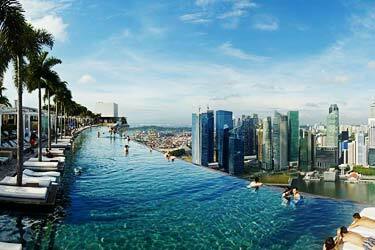 The population of the metropolitan area reaches about 1 million. Nice receives lots of tourists every year. Most of theme come here to enjoy the sea and the French food and drinks.